Mannheim, 7 June 2018 Röchling Advent Tool & Mold, Inc., is acquiring the American medical technology specialist Precision Medical Products, Inc., (PMP) based in Denver, Pennsylvania (USA). The Röchling Group is thus consistently continuing its strategy of expanding the Medical division. PMP has more than 50 years of experience in the manufacture of medical equipment and nearly 100 years of experience in the development and manufacture of needles and other precision-manufactured metal products. The range of services includes engineering services, metalworking, injection molding, equipment assembly, packaging, and sterilization. The ability to manufacture high-quality precision components with extremely narrow tolerances and complete demanding projects to a high degree of quality has generated significant growth in the past. PMP specializes in niche markets. Numerous renowned OEMs (original equipment manufacturers) who outsource their manufacturing and design rely on PMP as a supplier. PMP has been working with some of these in close and trusting partnerships going back decades. The products manufactured by PMP include: autoinjectors (special syringes for anaphylactic shock), medical products (minimally invasive instruments for eye surgery), bifurcation needles (special needles for vaccinations and allergy testing) and special syringes for bone cement. “The company fits perfectly with our strategy of strengthening our medical technology business in the USA. It is a medium-sized, owner-managed company that will integrate well into the Röchling Group and be an excellent addition to the Group’s business. That was an extremely important factor in our decision,” explained Knaebel. PMP is managed by an experienced management team that will oversee the integration of the company into the Röchling Group during a transition phase, he confirmed. Douglas N. Yocom, President & CEO of PMP, is convinced that absorption into the Röchling Group as an international leader has opened up extraordinary future prospects for his company and its employees. He is confident that it will allow strong growth and secure jobs. The company, which has 120 employees, was singled out three years in a row as one of the “Best Places to Work in Pennsylvania”. “PMP employees have extensive experience in the design, development, manufacture and sale of plastic and metal precision components and assemblies for medical technology worldwide. We were very impressed by this expertise,” said Lewis H. Carter, President of Röchling Advent Tool & Mold and head of the Medical Plastics business unit. Röchling Advent Tool & Mold has been part of the Röchling Group since 2012. 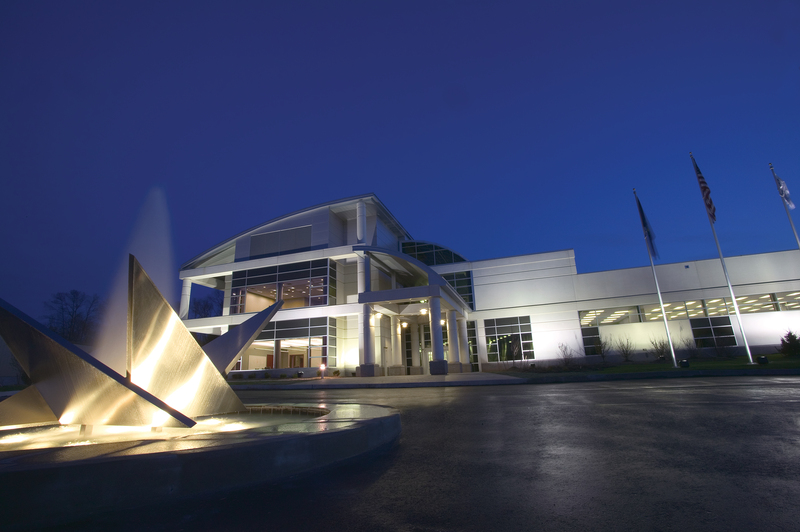 The company based in Rochester, New York State, formerly the only Röchling Medical location in North America, is a full-service specialist in the manufacture of injection-molded plastic precision components for medical technology. According to Carter, the two companies will complement each other perfectly. “The combination of our injection molding expertise with PMP’s expertise in metal and fine precision technology will enable us to offer medical technology manufacturers in North America a broader range of services than before,” said Carter. He explained that existing markets would be served extremely effectively, and the company would be able to tap into new markets. The customer structures have also dovetailed each other. In addition, the production technologies of Advent opened up the possibility of manufacturing a component previously outsourced by PMP in-house in future. Other strengths of PMP include a strong focus on quality and innovation, a complete package from one source and a highly modern and representative production location in Denver, Pennsylvania. Roughly 1,900 square meters of the nearly 10,000 square-meter production halls are used as clean rooms. This is where medical products are assembled, manufactured and packaged in ISO-certified clean room areas in classes 7 and 8. There are modern office spaces across two floors. “There is enough space to expand in all areas within the existing plant. There is also the option of giving the location a general expansion,” explained Carter. The Medical division of the Röchling Group offers customers a wide range of standard and tailored plastic products in the fields of pharmaceuticals, diagnostics, surgery and life sciences. These high-quality products are used in innovative drug delivery systems, primary packaging systems, surgical instruments and disposable diagnostic items. Röchling acquires American medical technology specialist Precision Medical Products, Inc., based in Denver, Pennsylvania (USA).